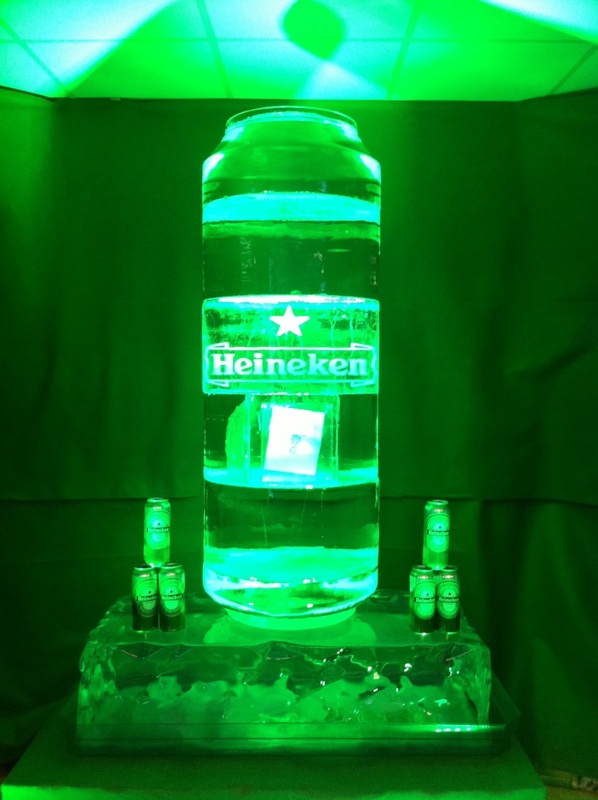 Irish communications agency ThinkHouse PR approached Icebox to create a large scale ice replica of a Heineken can, for an online competition. With only 6 days lead time, Icebox created a 1.5m tall Heineken can, with an acrylic box inside, containing 2 tickets to Oxegen Festival. No stranger to working far afield, Icebox team travelled to Dublin to set up the sculpture in a studio, ready for the promotion to start at 9am. Once installed, webcams streamed live footage of the ice sculpture melting to music video site MUZU TV. The public were given the opportunity to guess the time the tickets would melt out, posting their answers on the MUZU TV website, Twitter and Facebook. Within 24 hours of the promotion going live, the competition received an astounding 9,500+ views and entries. An overwhelming success!